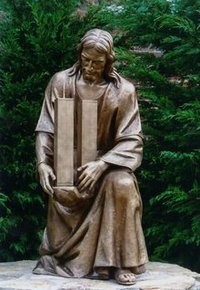 I just found this on the web while looking for pictures to use for a Faithbooking weekend I am speaking at, and, thought I'd share it ~ Wish I'd had it for the September 11 Posts. This would be a beautiful picture to print and use on your page to tell your September 11, 2001 story. Hi, the whole thing is going perfectly here and ofcourse every one is sharing information, that's in fact excellent, keep up writing. fantastic submit, very informative. I ponmder why the other experts of this sector do not undestand this. You must continue your writing. I'm sure, you've a great readers' base already! whoah this weblog is wonderful i like reading your posts. Keep up the great work! You know, a loot of people are looking around for this info, you could aid them greatly. For hottest information you have to go to see the web and on world-wide-web I found this web site as a best web page for newest updates.